I have very dry rosacea/dermatitis. Dry forehead, nose wings, upper lip and cheeks, behind the ears. Well, you name it. This serum is it. It leaves my skin totally full and satisfied. I almost laughed out loud the first time I felt the effect. I do admit that I believe I had about a weeks "training" for my skin to accept it but now; liquid gold. I can walk through winter without my face tightening up. This serum is not a serum at all is a silicon based product. Cyclopentasiloxane (silicone slip agent), Dimethicone (silicone slip agent) that is the 1st ingredients.Here we have 0,01% retinol and the same of antioxidant oils.I payd 37 euros for silicon.I will never buy this again.this is waist of money. I agree with the previous reviewer : this is great as an eye cream and I've used it every night for that purpose for many years. I even put it on my eyelids with no irritation or puffiness. It's a great way to get some retinol around my eyes safely. I also use it all over my face (as intended) when I need an extra layer of comfort or an antioxidant boost (when my moisturizer is not providing it). This serum is a staple in my skincare routine. I live in a Nordic climate - my skin type is combination in summer, and quite dry in winter. I am in my mid-40s and have always tried to take care of my skin, so I don't have wrinkles, really, but I do experience the loss of radiance and more visible pores, etc., plus I'm always concerned about preserving what I have as much as possible! I think this serum does compliment my needs - my skin has a smoother and clearer texture overall. I don't use acids or retinols every day or night; I tend to rotate them somewhat - and sometimes I give my skin an "off day/night" and stick with lots of moisture. I just go with what it seems to need from day-to-day...BHA, AHA, retinols, hyaluronic acid products, etc.- just not all at once, and that works for me. 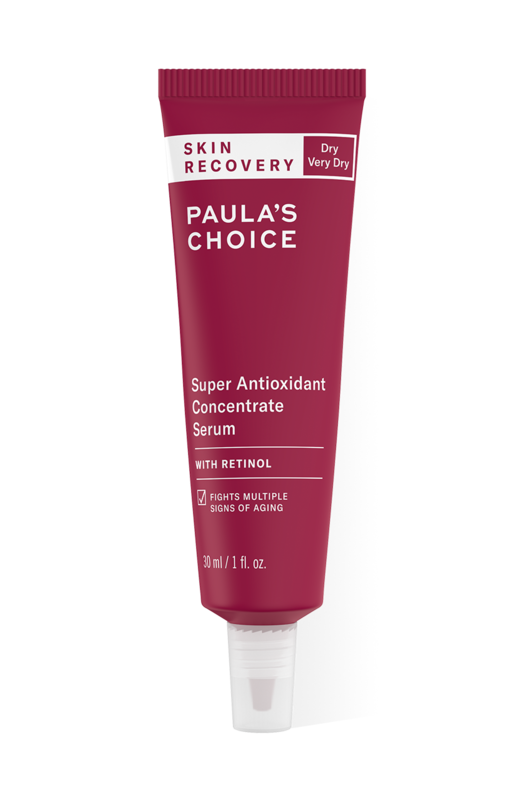 I am nearly through my first tube, and will re-order; I love the texture, and I also think I may get the non-retinol version for days when I want the antioxidants on their own. I think this serum represents a really good value when held up against similar products with similar claims, especially at Nordic pricepoints! That said, I think people need to remember that if you have sensitivity to retinol, or aren't used to it, to take that into consideration as you rotate it into your routine - it can well feel more drying than you expected and it's not really a moisturising product, no matter how it might feel when you apply it. I've used a lot of skincare over the years and I can honestly say that I plan to repurchase everything I've tried so far. I am not into "fad" skincare, and already being something of an ingredient geek, I really appreciate this brand. Unfortunately, this serum did nothing for my skin but make it break out and itch. I have normal-to-combination skin that gets dry during the harsh Nordic winter with otherwise very minor concerns such as slightly clogged pores on my nose. I don't typically have break-outs, and when I do I can easily trace the cause: greasy food, or alcohol, or the good old lack of hygiene (think camping). 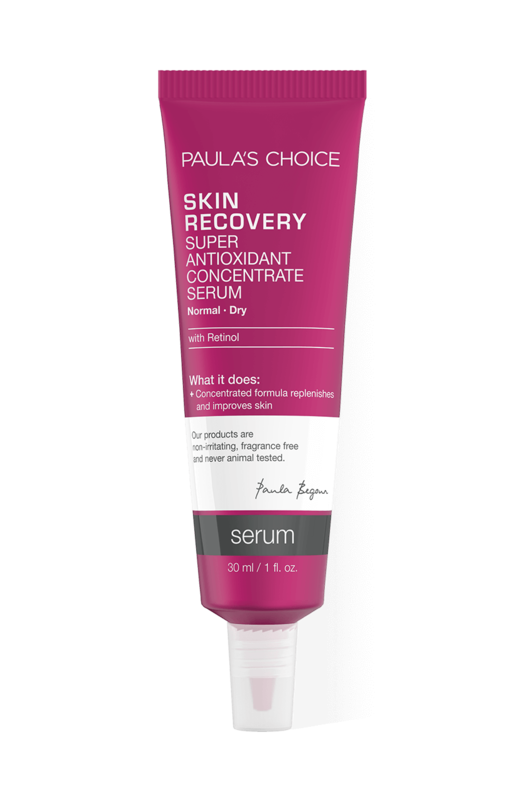 I first tried this product along with the rest of Paula's Choice routine for dry skin in spring when my skin was dehydrated after the long winter. But instead of complimenting the other products, the serum made me break out with itchy little whiteheads that went away as soon as I stopped using the product. Of course I didn't want to believe that the serum caused the trouble, so I tried it three more times, all with the same result. Moreover, the irritation would get worse with every new attempt. Sadly, I have to give up on this serum for good now, despite the fact that I love the texture, the smell and the idea of nourishing my skin with antioxidants. customer care : Thank you for your review and we are sorry to hear about your expierences. Please contact our Customer Care department info@paulaschoice-eu.com and we will be more than pleased in assisting you finding a product more suitable for your skin type. The Skin Recovery Super Antioxidant Concentrate serum we recommend for the dry and sensitive skin. For the normal/combination skin we prefer to recommend our Skin Balancing Super Antioxidant Concentrate. meks - A must have! I absolutely love this product. It gives you that silky and smooth feeling on your skin and after using for few weeks you will definitely notice the difference on your skin. Skin looks refreshed and younger. It is moist and smooth. This product is scentless and colorless. Packaging is absolutely great and hygienic. My skin is oily , but I didn't have any problems using this serum. It didn't get oilier and i didn't have breakouts. Only problem that I see is that this serum is made on silicon base, so for those who have very sensitive skin with pores that get cloged quickly, I would recommend that you test this product before buying it or just don't use it every day. I have dry, sensitive, acne-prone, rosacea-prone 40+ skin. In my case, fewer products work better. This product single handedly moisturizes and evens out the tone visibly - no other creams needed. It goes on a bit shiny, but serves as a good base for a matt face powder. Another irreplaceable product fro Paula. This rich, very nourishing concentrate makes my skin feel protected and safe from all the harm it gets from the day. It is a perfect base for moisturizing cream, but even after using the concentrate on its own, the skin feels super moisturized and pampered. None of the antioxidant serums or concentrates I tried before gave me such a great effect. I could not do without this product. I use it around my eyes and anywhere I feel a little dry. I went away for the weekend and forgot to bring it with me. I was not happy and as soon as I came home I smoothed it on. I realised how much I love this product!